Let no one dictate your actions or directions !!! You don’t have to be apologetic about your life nor are you supposed to look over your shoulder for someone else’s approval about how you should live. 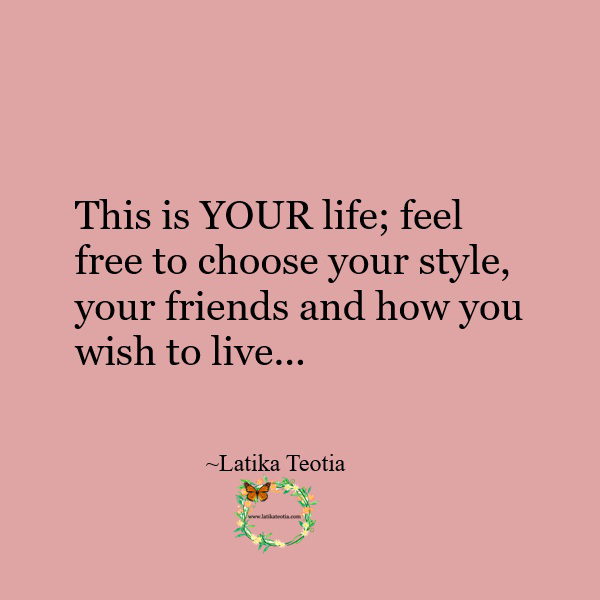 This is YOUR life; feel free to choose your style, your friends and how you wish to live. You don’t have to change yourself just to suit someone else’s needs.